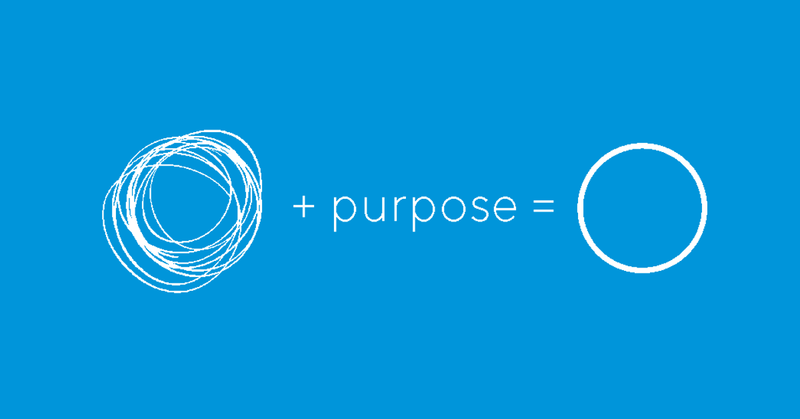 I see the growth in "purpose" as it relates to branding and was wondering why this might be. There have been a few large international branding agencies that have conducted research and are now evangelizing the power of purpose: IDEO, Prophet and Kantar Millward Brown. Purpose seems to be growing as an approach in many disciplines across industries. So, why is that? I consider this a byproduct or result from the constant disruption from technology in society. I believe humans gravitate towards things that provide grounding during times of change and uncertainty. What I found was a 2008 study (Science (Vol. 322, No. 5898) by Jennifer Whitson, Ph.D., and Adam Galinsky, Ph.D.) on how people react during times of uncertainty. What they discovered was when the participants had been primed to feel like they have no control, people were more likely to see patterns in a random display of dots. This suggests that people are primed to see signs and patterns in the world around them—search for meaning or purpose to offset the feelings that come from times of uncertainty. So what can businesses learn from this? When our culture bombards us with constant technological change, the importance of consistency of brand message, communicating purpose through your brand, and delivering on expectations becomes even more important. More than ever before, consumers are looking for companies they can count on—businesses who are who they say they are and deliver what they say can deliver. Those companies will win the day and outperform their competitors.